Playoff Lane #3 - 8 SHARC PASSES! PEEK A BOO VIEW OF MT BACHELOR! 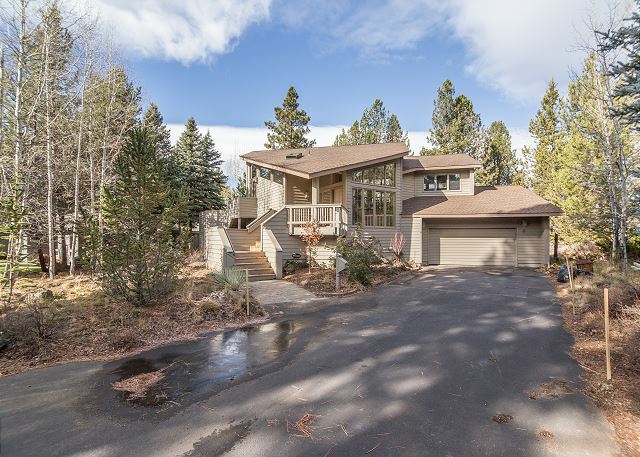 Playoff 3 is an exceptional 3 bedroom vacation home with air conditioning located on the North end of Sunriver. 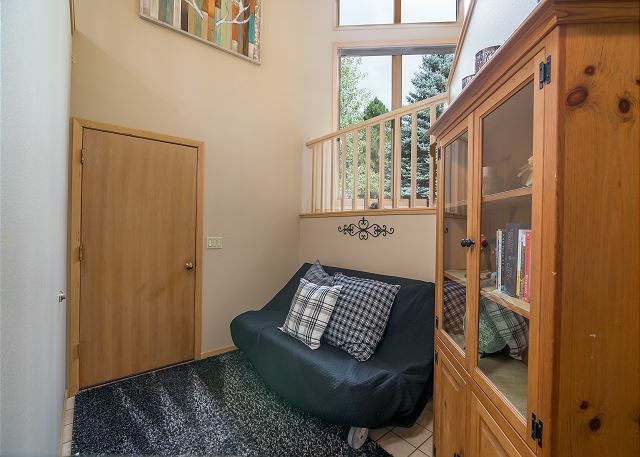 The spacious floor plan multi-level home invites up to 8 guests. 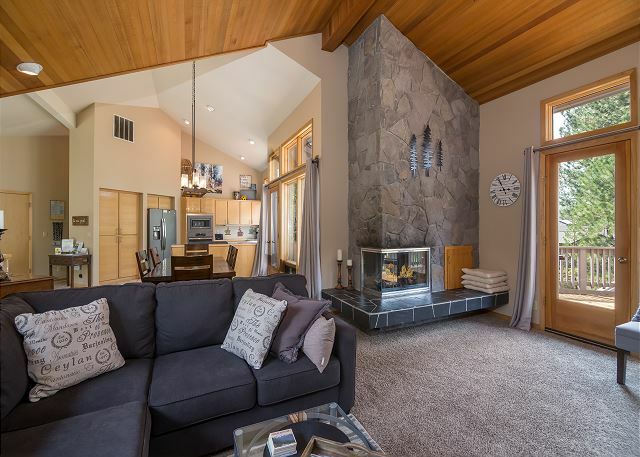 The large living room provides a flat-screen TV, a gas fireplace and is surrounded by floor to ceiling windows to let in Sunriver’s year round sunshine. The living room area opens up to the dining area that leads to the kitchen. 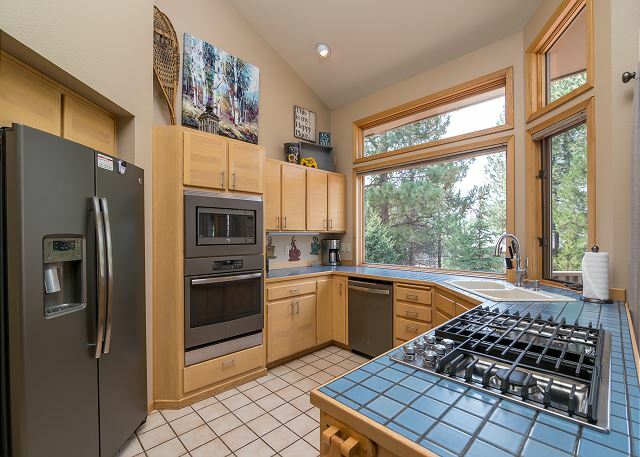 If you have to cook, there is nothing better than being able to enjoy the view out back while cooking in this well-stocked kitchen. It even has a peekaboo view of Mt. Bachelor. 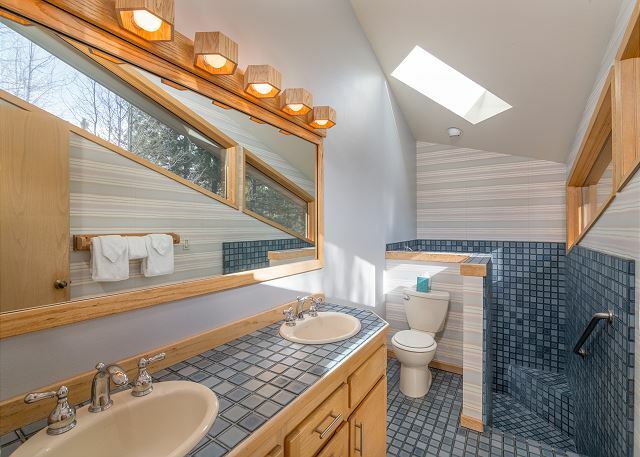 This level also has a half bath. 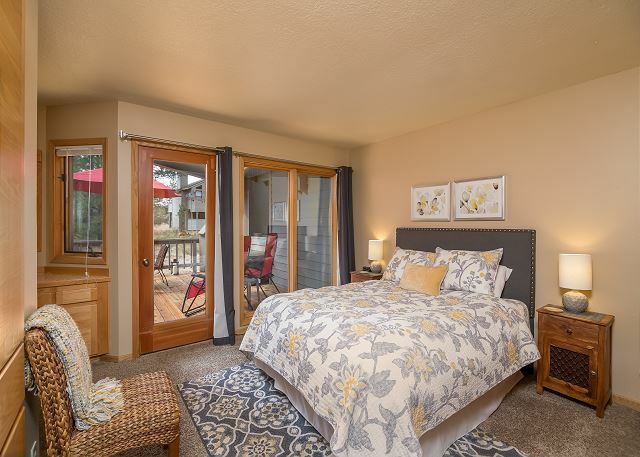 This property has new owners as of September 2017, and there have been many changes and upgrades including; new paint throughout, updated furniture, window coverings, new bedding and decor. 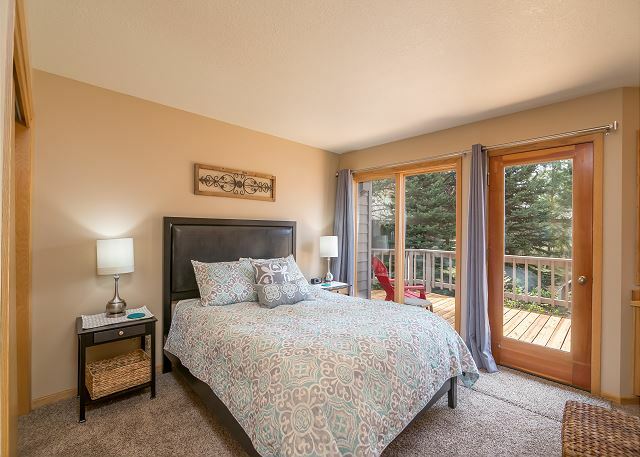 Each of the 3 bedrooms includes large, beautiful windows to let sunlight stream in. 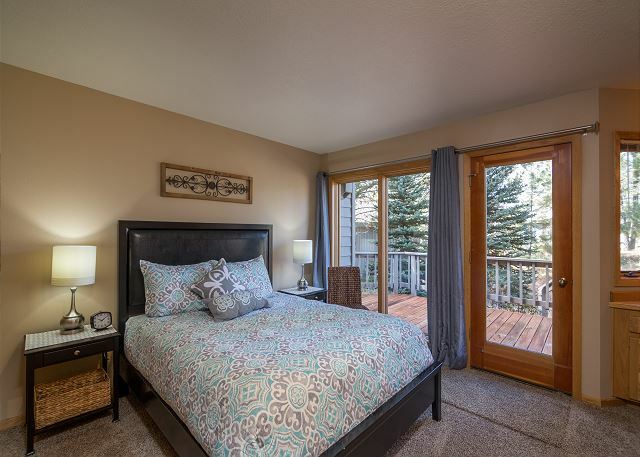 From the upper-level master bedroom, enjoy private access to the deck and private hot tub. 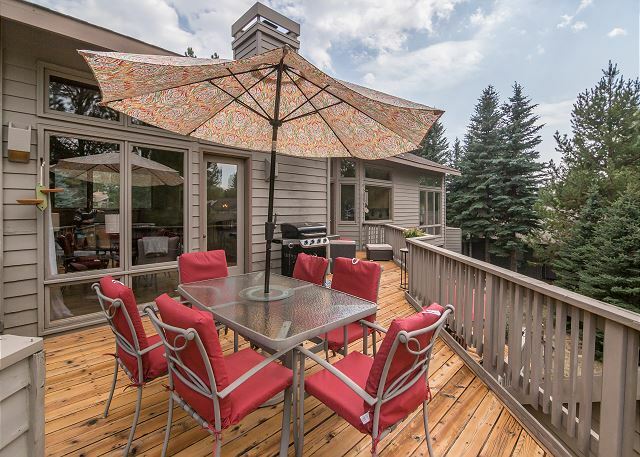 On the lower level, there are two bedrooms each with their own access to the expansive deck and backyard. 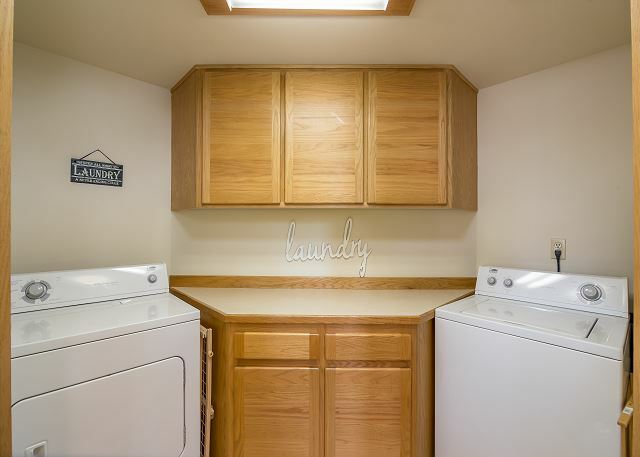 Downstairs, you will also find the laundry room and a small den area with a double pull out sofa, perfect for the kids to hang out in! 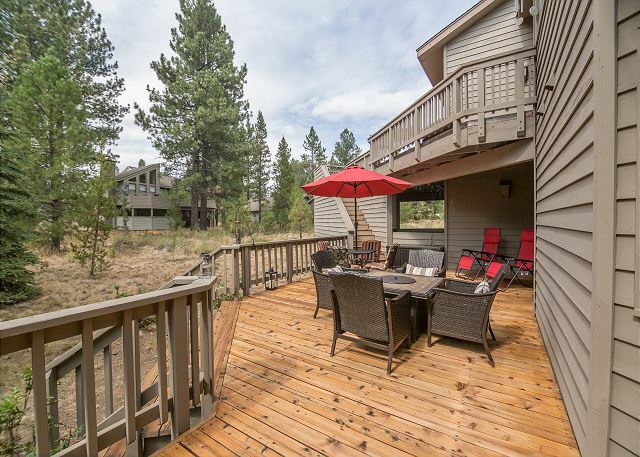 Summer visitors to Playoff 3 will appreciate the inclusion of air conditioning, a true luxury in Sunriver. 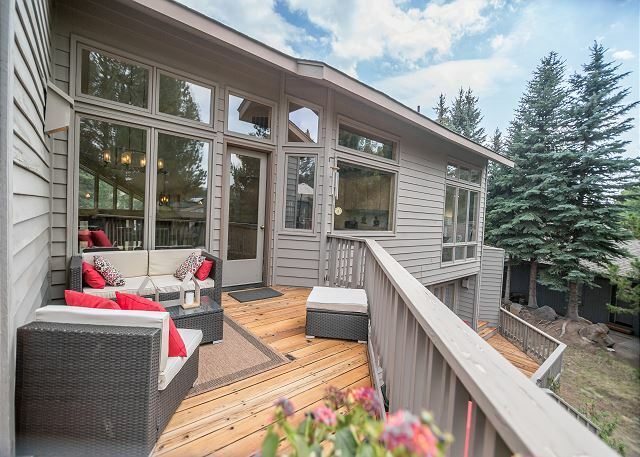 This home provides plenty of extended living areas on the wrap around decks, so grab a book or a game and have some fun together in the beautiful outdoors. 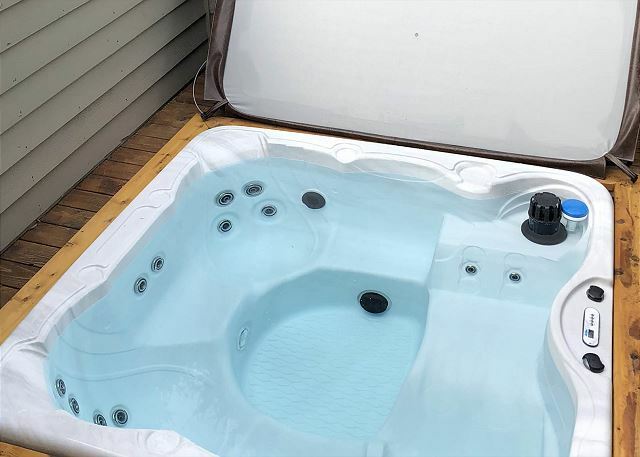 Enjoy stargazing from your enclosed, private, brand new hot tub. Want to go on a bike ride? 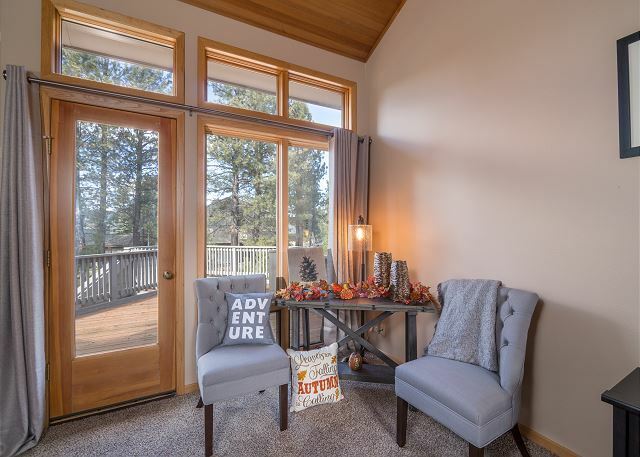 This home features 8 bikes, a tag along bike (hooks to an adult bike) and enclosed baby/toddler trailer (also hooks to an adult bike), so hop on and enjoy a ride on the 38 miles of paved bike paths exclusive to the Sunriver area. Also included are 8 SHARC passes, so you'll never run out of things to do! Beautiful home with everything we needed. Very well thought out kitchen and we appreciated the easy check out requirements. Thank You for your review, Kelli! Thank you for spending your Spring Break with us, happy to hear that you had everything you needed in this beautiful home and enjoyed the fantastic kitchen. The last thing we want our guests to remember is a time well spent...we try to make the check out requirements as easy as possible, so that our guests can leave feeling refreshed! Come back soon! Very quiet location. Deer wonder right by the deck. Nice outside furniture. Weather was great and it was very relaxing. Thank You for the 5 star Review, Christina! We are so happy to hear that you loved the location and the deer visitors that frequent the area! We hope to host you again! We enjoyed our stay in this bright, open rental home. Several positives of note: kitchen was stocked and nicely equipped; several bikes in good working order; comfortable, well-furnished outdoor space. Thank You for the 5 star Review, Sallie! Happy to hear that you found the home to be bright, updated, open well furnished and comfortable! Come back Soon! 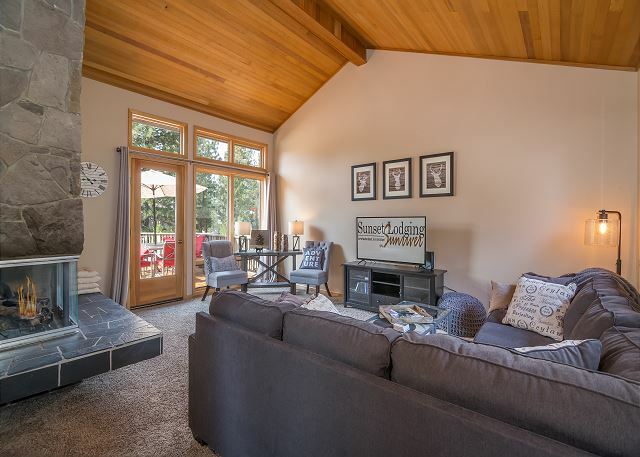 We have been coming to Sunriver every summer for over 10 years and have stayed at many different houses over the years but this is our absolute favorite so far! The outdoor spaces were great! There are 3 different areas with comfortable furniture to relax and watch the deer or a sunset or the beautiful start sky at night. The house was clean and comfortable and beautifully decorated. We loved the huge shower in the master bedroom. It’s was nice having shark passes and the raft was a fun surprise to use as well. The only suggestion I’d make is to have a metal bbq spatula and perhaps a hand rail near the hot tub. Overall though the perfect house, we look forward to staying there again!!! Thank You for your 5 star Review, Sheila! So glad that you've found a favorite in this wonderful home! Come back soon! We had a great house in a great location at the north end of the complex. So much for everyone to do. 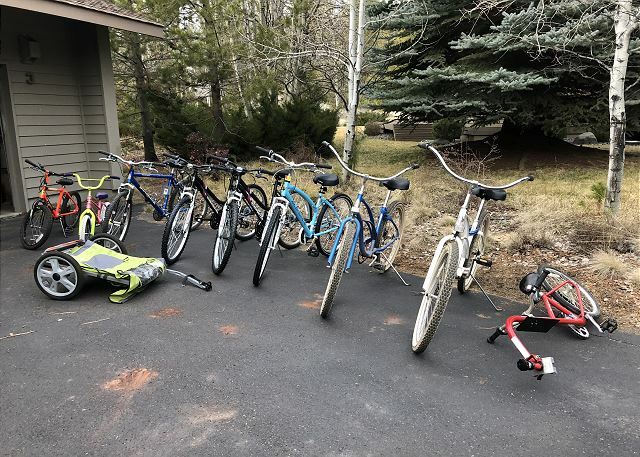 Great bikes, close to the National park access, quiet culdesac, and free passes to the water park. Thank You for your Review, Mike. We are so glad to hear that you had a great time at the home and enjoyed the bikes, quiet area and the water park! We hope to host you again! A great place to bring your family. Lots of bikes and options for taking the little ones out for a ride. 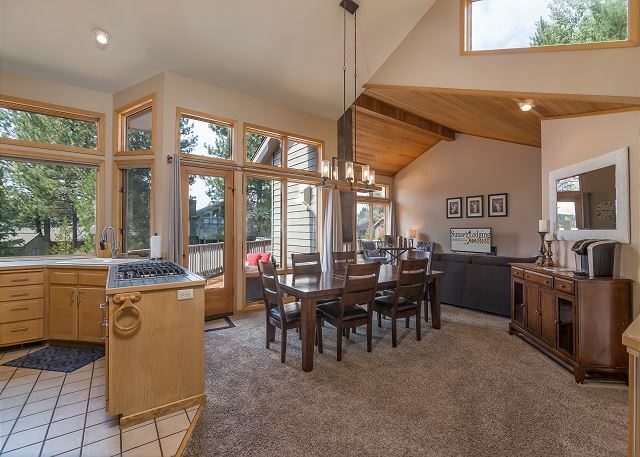 The house layout is comfortable and kitchen well stocked with necessary gear. Thank You for the 5 star Review, Elizabeth! So glad to hear that you had a great time and enjoyed the home! Come back soon! Thank you for a wonderful stay! You have obviously worked very hard to create a comfortable space for your guests! 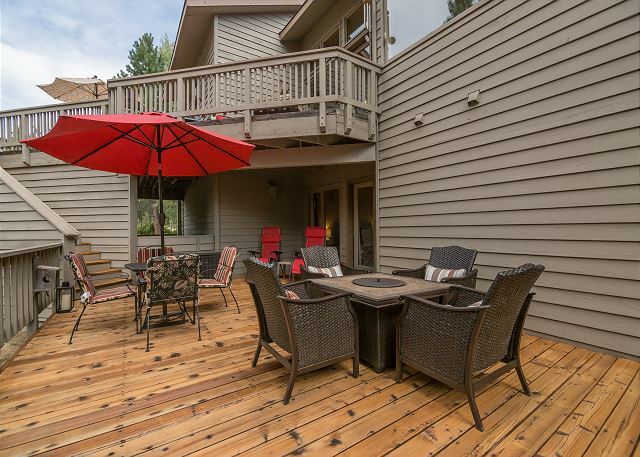 The deck was a perfect place to enjoy our evening dinner, it was lovely to then relax by the fire pit, the beds were cozy, and we found all the items we needed for a perfect stay! Thank You for the 5 star review, Jeff! We are so happy to hear that you were able to relax by the fire pit, and found Playoff 3 to be a wonderful place for your sounds like you thoroughly enjoyed your stay there! We hope to see you again soon! Thank You for the 5 star review, Jeff! We are so happy to hear that you were able to relax by the fire pit, and found Playoff 3 to be a wonderful place for your group. It sounds like you thoroughly enjoyed your stay there! We hope to see you again soon! I recently spent three nights at Playoff 3 with my mother and best friend, and we had a wonderful time! 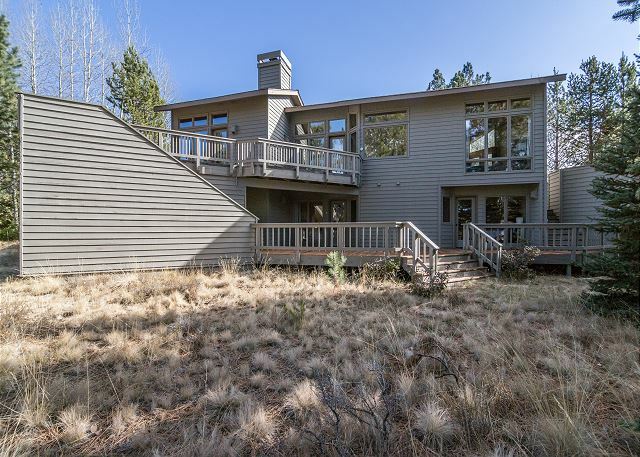 The house is beautiful, and the off-season price was very reasonable, especially for all the "extras" included in the price (SHARC passes, 8 bikes, WiFi, etc.)! Why stay at the resort when you could have a wonderful time here?? - There was a brand new BBQ and outdoor sectional in the garage that will be perfect for summer guests! - There's a view of Mt. Bachelor from the kitchen! - Keyless entry is officially my favorite thing. I want it for my own house! - When we visited, the house had been unoccupied for about three weeks, and quite a few ants and spiders had moved in. Time to call pest control! - The house was initially a bit difficult to find, and is about 10 minutes away from the Village (not a problem for my guests and me, but could be for some). - The WiFi was rather spotty. 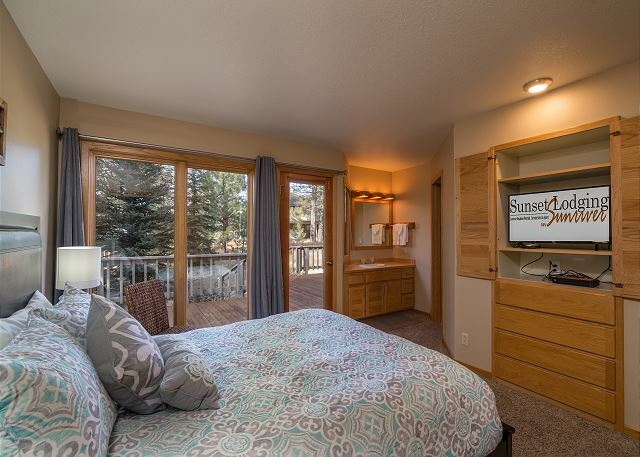 - Having a fireplace was wonderful, but having the ON/OFF knob INSIDE the fireplace was a terrible design choice (not the owner or Sunset Lodging's fault, of course, but hopefully, that can be changed at some point). To turn the fireplace off, you have to reach INSIDE the fireplace while the fire is still burning. Who does that?! - A new brand of toilet paper is highly recommended. My mother said it felt like using a pine cone; I agree. Overall, we had a great time, and despite its few quirks, we would return to Playoff 3 in a heartbeat! I will search for it next time I head to Sunriver! Thank You for your detailed review Sarah! We are so glad to hear that you enjoyed Playoff 3 and all of the wonderful "extras" it offers and want to come back to enjoy it again! 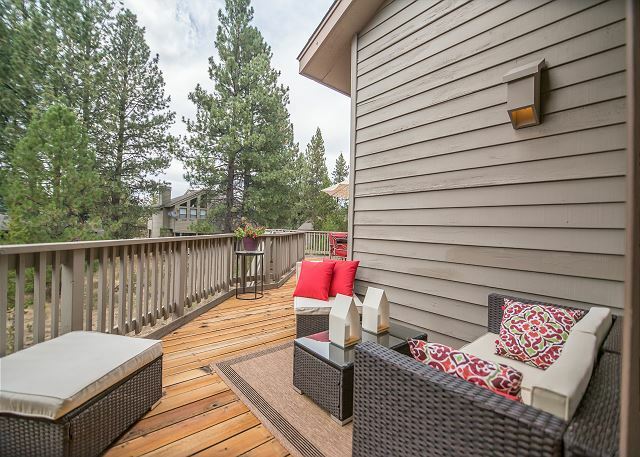 We also agree that it is a PERFECT spot for a Sunriver getaway with a view! I will pass along your concerns to our maintenance manager to make sure that the ants/spiders have been taken care of, this is the time of year that they start coming out! Because our company stocks so many paper products in rental homes we do stock "eco-friendly" brands of paper products to try and do our part where we can. 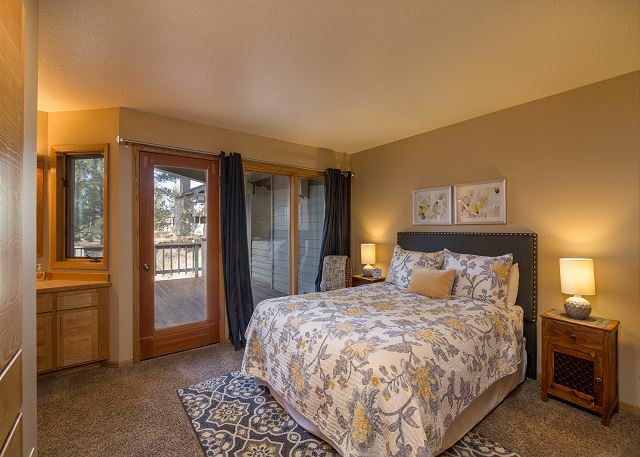 Thank You again for your review, See you in Sunriver! Loved the home. 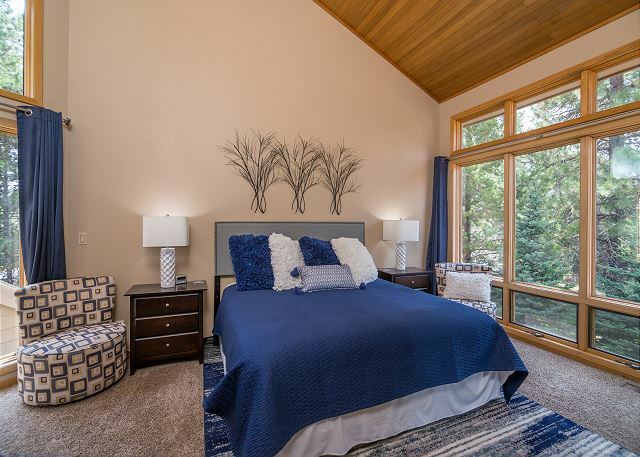 Full of natural light and tasteful updates to the home. Fully stocked kitchen made it a perfect spot for an extended family of cooks. Two floors also provided both space for gatherings and privacy. Would recommend to others and consider renting again for future gatherings. Thank You for a stellar review Donna! 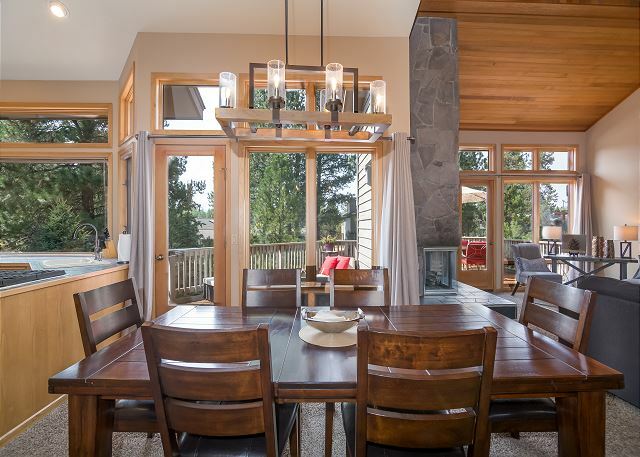 We agree that Playoff 3 is an easy home to love with its beautiful natural light and wonderfully stocked kitchen. We hope that you will come back to visit us again soon!